Wherein my Teak Montegrappa Heartwood Fortuna (Fine) is paired with KWZ Brown Pink. 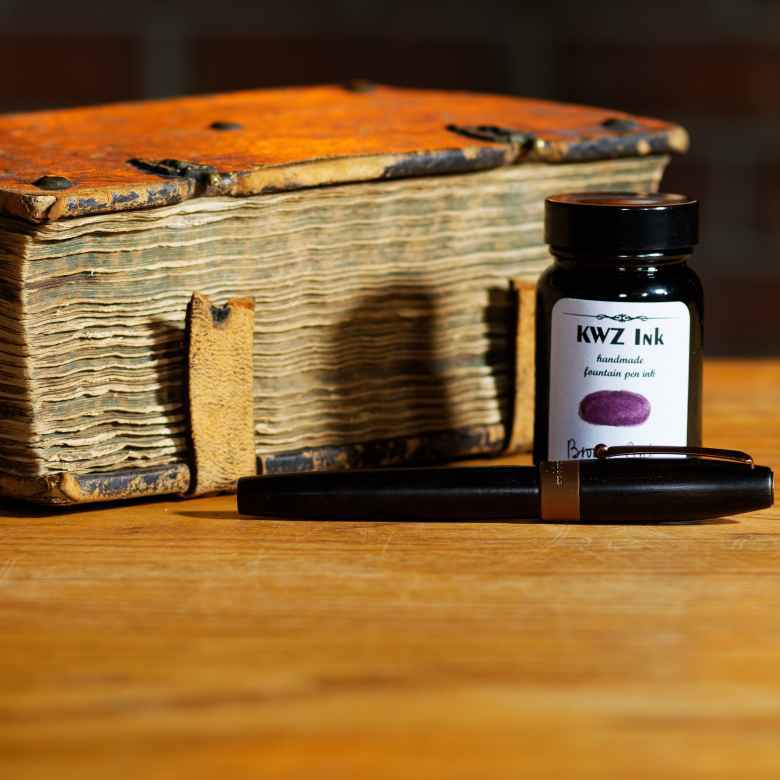 On January 18, 2019 my Teak Montegrappa Heartwood Fortuna (Fine) joined its comrades when it was filled with KWZ Brown Pink. I refilled it once; the last refill was on January 29, 2019 . The pen was in use for 3 weeks and was emptied and cleaned on February 13, 2019 , saying good-bye to its fellows. This is my newest pen, and my newest ink (arrived today). I’ve had my eye on this pen since it came out, and only recently picked it up, and I couldn’t be happier with the aesthetics of the pen; I hope I’m as happy writing with it. As for the ink, this has been on my list for a while as well, and my wife and I agreed to an ink-a-month program this year, but instead of signing up for one of the box subscriptions out there, I made a list of ink that would be fun to be surprised with; she’ll pick a ink off the list, or use the list as inspiration, and surprise me with a bottle each month. This month is KWZ Brown-Pink, so I’m giving it a try! I don’t know if it is the pen or the ink, but there was some occasional hard starting and some skipping, so much so that I would sometimes have to prime the feed. The humidity in my house is low this time of year (about 35%) so there may be some evaporation causing the hard starts. I will have to try a different ink before rendering judgement on the nib itself. I will say that it is incredibly broad for a fine nib, far broader than I typically enjoy. I anticipate sending it off to be reground to a smaller italic.